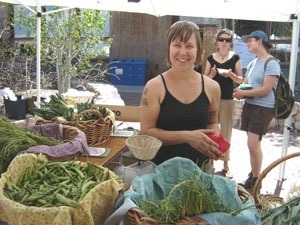 We work in collaboration with the Prescott College Master of Arts Program (MAP) to offer a concentration in social ecology for Prescott MAP students. Students attend colloquia in Prescott, Arizona and in Vermont, while working independently in their home communities in collaboration with an ISE graduate advisor. For more information, click here. 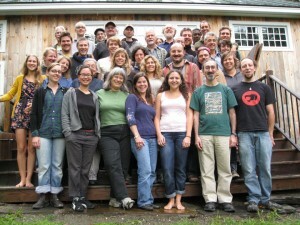 ISE faculty, students and other associates gather annually in Marshfield, Vermont for an intensive weekend of discussion, based on papers submitted in advance by colloquium participants. For information, contact the ISE. The ISE’s recent activist focuses include facilitating grassroots action against the genetic engineering of food, and the development of a movement for climate justice. More information here. We have an extensive online library of social ecology articles, available here. We are also working to make available some of our extensive video archives of past ISE programs. Other research and publishing projects are in the planning stages. We work closely with faculty and associates based on the West Coast to produce frequent educational programs under the auspices of the Social Ecology Education and Demonstration School, based on Vashon Island, southwest of Seattle. More information at <www.socialecologyvashon.org>.